At About Town Electric your home and the safety of you and your family is our first priority. We make sure your home is free of electrical hazards and meets today’s standard of safety. Damage is caused in homes by faulty wiring and negligence than any other source. That is why we complete a FREE 12 Point Safety Evaluation in EACH & EVERY home we go to. It is our goal to address current problems, detect problems, and prevent future damages. Most major electrical issues are avoidable with proper maintenance and evaluation. Our exclusive 60 Point Home Electrical Inspection is an essential first step towards insuring the safety of your family and your home from any electrical hazards. All potential hazards will be identified, and based on our report, a suitable plan of action can be determined. Our inspection will provide you with a detailed written report on the present condition of your home’s electrical system. Using our exclusive 60 point check-list, our technician will conduct a thorough survey of your home’s electrical system. Our electrician will open your electrical panel and check the condition of all components. He will make note of exposed wiring. He will check lights, receptacles and switches. The integrity of ground and bonding connections will be verified. Any Code Violations and Safety hazards will be noted. This thorough inspection may take up to 2 hours. Not sure if your home is safe? Have our fully trained residential electrical specialist perform our whole home safety inspection. This 60 point inspection will cover every aspect of your home’s electrical system and provide you with a full, detailed report of any safety hazards that need attention. Electricity brings warmth and light to our families. It powers most modern conveniences, and it even helps protect us from threats to our security. Electricity is powerful, but in our homes it must be handled carefully. Most people have a handful of electrical safety hazards lurking about the house. Many go unnoticed until an accident, or a tragedy, occurs. If left alone many will turn into major problems that will become as inconvenient as they are expensive to fix. Is your insurance company looking for a professional electrical inspection or are you buying or selling a home? Given that the average house changes hands every eight years, rarely does a licensed electrician perform significant work in a house after it’s built. This means many houses have accumulated a number of electrical hazards as a result of unqualified electrical work being done over the years. Unfortunately, the insurance companies have learned the hard way that this can lead to many insurance claims and have therefore decided that a detailed electrical report in many cases will help them give proper coverage. Our electrical home safety inspection is one of the most comprehensive in our industry and has provided our clients the information they need for their insurance companies. When it comes to buying or selling a home don’t get blinded by last minute problems with the home’s electrical system! Worried about the knob and tube, aluminum wiring, incoming electrical service or outdated fuse panel? We provide a detailed report regarding your home buy/sell inspection. Have one of our professionals provide recommendations and pricing that make sure your real estate transaction goes smoothly. If you have an outlet that doesn’t work or a light fixture you need installed – no problem – call us and have our knowledgeable electricians get it done for you safety and efficiently. We do every type of electrical service big or small. From a simple dimmer switch installs to an extensive whole home re-wires. At About Town Electric we specialize in troubleshooting and repairing your electrical issue. If you have power outage in your home or just parts of your home, relax. We are trained and able to diagnose and repair the problem as quickly and efficient as possible. Electrical problems can be serious, so please call a licensed electrician. Our electricians are trained to educate you, and present all options available to you. Call us now and we will have one of our expert electricians come out to your home and give you peace of mind and comfort. Does your Home still have an old style fuse panel? Are circuits overloaded? Have circuits been doubled-up? Has new wiring been added over the years, and does it meet code? Has your Insurance Company refused to renew your home insurance policy? Your home may be in need of a service panel upgrade. Don’t compromise on safety. Have your electrical system inspected by one of our highly qualified electricians. He will help you to decide on whether you should have your outdated fuse panel replaced with a modern circuit breaker panel. A circuit breaker panel is more convenient and is built to far higher safety standards than outdated fuse panels. Extra protection is incorporated into the latest equipment in the form of circuit breakers. These circuit breakers protect every device in the house with sensitive circuitry that responds quickly if there is a fault, opening the circuit and eliminating the risk of danger. There is also excellent protection available in the form of Ground-Fault Circuit Breakers and Arc-Fault Circuit Breakers. Older equipment and wiring systems did not have to support the modern appliances of our day. Overloading and doubling up of circuits is commonly seen on older outdated fuse panels, the result of improper installations that were never inspected. This can cause fires. 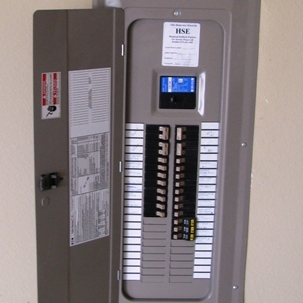 Upgrading the source of power distribution to your home by installing a circuit breaker panel can eliminate this potentially dangerous situation. Today homes are filled with sensitive electronics that are easily damaged by common power surges, spikes, or voltage impulses. A lightning storm near a residence can deliver a high energy electrical surge that can enter a home and destroy appliances, televisions, stereo equipment, and other electrical products. The cost of replacing electronic equipment in an average home is approximately $8,000. 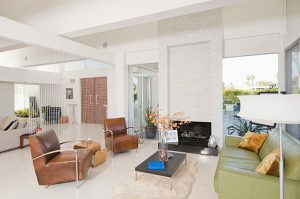 This figure can easily top $20,000 if the homeowner has a sophisticated entertainment system, or a home office. About Town Electric recommends that to fully protect your investment, consider a 2-stage approach to Surge Protection. By installing 2 stages of surge protection, your electronic equipment can be protected from most power surges, spikes, and every day voltage impulses that are common. Do not underestimate an unchecked high voltage surge than can wipe out your investment instantly, or the smaller everyday surges that can degrade the electronic components in your home slowly over time. 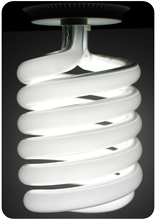 In recent years there has been an increase in the concern over the safety of aluminum wiring. In particular, purchasers or owners of homes built from the mid 1960’s to the late 1970’s with aluminum wiring are finding that many insurer’s will not provide or renew insurance coverage on such properties unless the wiring is inspected and repaired or replaced as necessary, and the work is inspected by the ESA (Electrical Safety Authority), and a copy of the certificate of inspection is provided to the insurer. In some cases the insurer may require replacement of the aluminum wiring with new copper wiring. Many homes have a mixture of both aluminum and copper wiring. Reported problems with aluminum wiring have been related to the overheating and failure of aluminum wiring terminations. This is due to the tendency of aluminum wiring to oxidize, and aluminum’s incompatibility with devices designed for use with copper wiring only. Aluminum has a higher rate of expansion than copper wiring, which can lead to loose connections, arcing and melting, eventually fire. Warm cover plates or discolouration of switches or receptacles, flickering lights or the smell of hot plastic insulation may be evidence of poor or improperly made connections. All homes are wired differently and must be assessed on an individual basis. 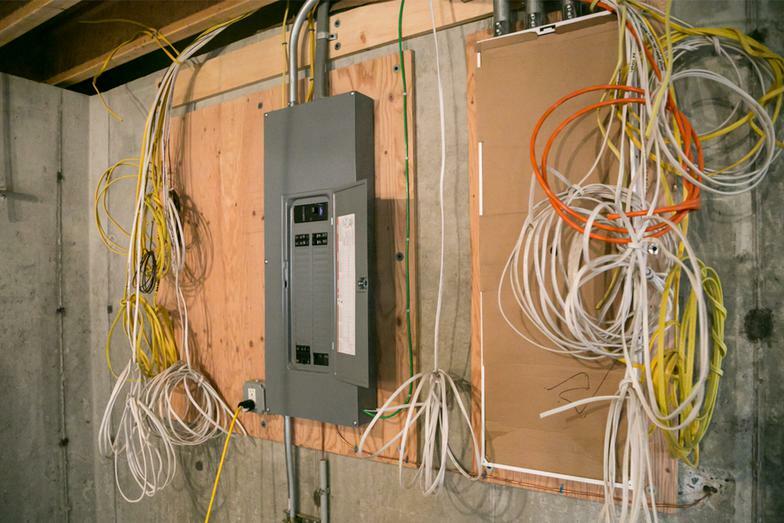 The Electrical Safety Authority recommends that the homeowner hire an authorized electrical contractor that is knowledgeable in the approved methods for working with, and repairing aluminum wiring. You do have a couple of options. Rewiring would be the best long term solution for eliminating problems associated with aluminum wiring, but it also represents a substantial investment. This may be the best solution in some cases. A great starting point would be to call About Town Electric, and arrange for an assessment and 60 point Electrical Safety Inspection Report for your home. Another solution is our Aluminum Wire Rejuvenation. This method is the more common and economical. We repair all the devices in the home by “pigtailing” copper wire to the existing aluminum wire and treating the connections with an anti-oxidizing paste and replacing wire connectors with ones that are rated for aluminum. All receptacles and switches are replaced and light fixture connections are repaired. This method is recognised by most insurance companies along with a certificate from the Electrical Safety Authority and our company inspection/verification letter. What is Knob & Tube wiring? It is an ungrounded system, which provides a greater chance of shock or electrocution and of damage to sensitive equipment. It is very old wiring and in many cases has deteriorated, cracked or missing insulation, which can lead to fires. The original switches and receptacles are not CSA approved and in many cases the contacts are loose inside the device, which makes for a poor electrical connection and the potential for fire. It is common to find that newer wiring has been improperly connected to knob and tube wiring by amateurs, resulting in dangerous conditions in the form of shock hazard, reverse polarity problems, switched neutrals, overloaded circuits, and fire hazards, to name just a few. Like other components of your home, such as your roof, furnace, air conditioner and plumbing system there comes a time when replacement is necessary. That time has come for knob and tube wiring. So, to answer the question “is knob and tube wiring safe?” we have to say that in our opinion – the answer is no – it must be re-wired safely by a licensed electrical contractor. In our opinion, rewiring the home is the only solution that correctly addresses knob and tube wiring. Other solutions like eliminating it only where it is open to view (in basements and attics), or installing GFCI receptacles, are band-aid solutions that we do not recommend. Although installing GFCI protection may be acceptable to the Electrical Safety Authority, GFCI receptacles may not work in situations with shared neutrals (commonly found in knob and tube wired homes). Rewiring the home is an investment that adds substantial value to your home. It is a major project that may take 1-3 weeks, depending on the size and construction of the home. It is the best solution to serve your long term interests. 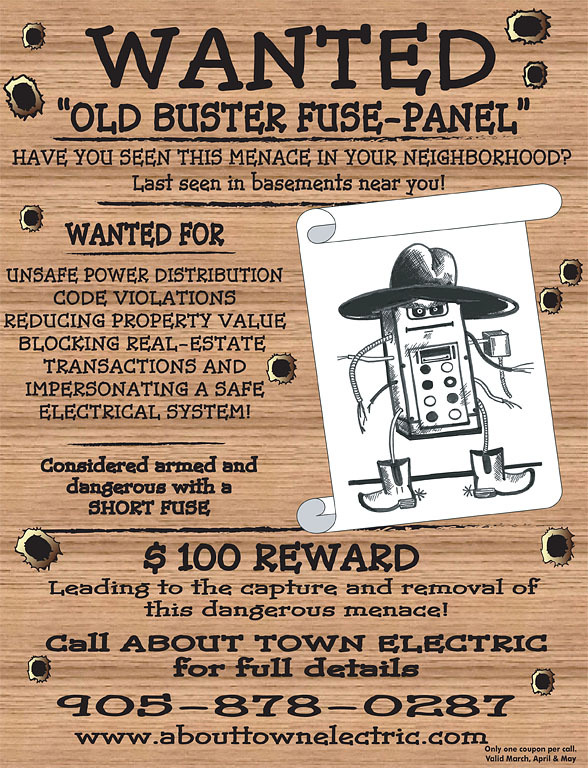 Do you have an old outdated, overused, potentially dangerous fire hazard of a fuse panel in your home? Call us today to have one of our licensed & qualified electricians provide you with peace of mind by showing you the benefits and advantages of installing a new safe and up-to-date breaker system in your home. Right now in March, April & May and you can save $100 off a fuse to breaker panel change. Call for details. SLEEP SOUNDLY AND SAFELY WITH PROPERLY INSTALLED SMOKE & CO2 DETECTORS!